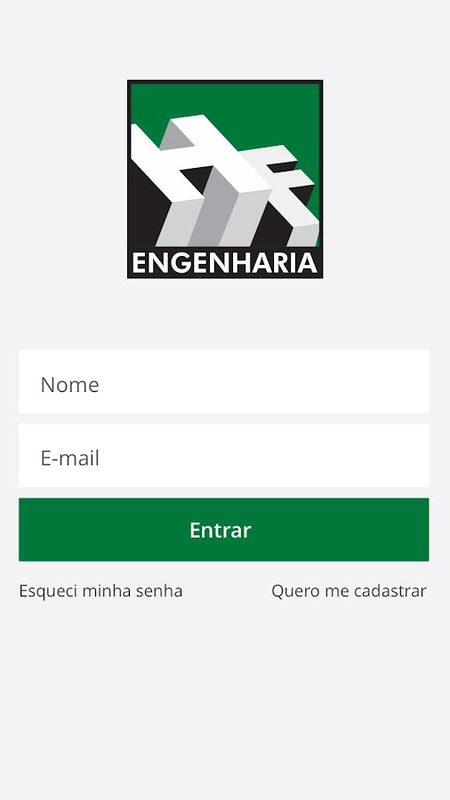 O app HF Engenharia auxilia corretores e gestores a gerenciaremseus negócios. Além de facilitar o atendimento dos clientes, tambémotimiza a experiência dos corretores, dando acesso rápido e fácil amateriais de divulgação dos produtos e espelho de vendas. Confiracomo o app HF Engenharia pode te auxiliar: Gestão de VendasGerencie seus negócios e clientes através do CRM do app. Através dofunil de vendas é possível visualizar e organizar todos os negóciosem andamento em cada etapa da venda. Gestão de Produtos Veja adisponibilidade das unidades e tenha acesso a materiais de vendascomo tabelas de vendas, imagens e plantas. Gestão de NovidadesCanal de comunicação direta entre gestores e equipes de vendas.Acesse e conheça! The HF Engineering app helps brokers and managersmanage their business. In addition to facilitate customer servicealso optimizes the experience of brokers, giving quick and easyaccess the promotional materials of products and sales mirror.Check out how the HF Engineering app can help you: Sales managementManage your business and customers through the CRM app. Through thesales funnel it is possible view and organize all ongoing businessat every stage of sale. Product Management See the availability ofunits and has access to sales materials as sales charts, picturesand plants. News management direct channel of communication betweenmanagers and sales teams. Go and meet! O app Facilita Vendas veio para descomplicar a gestão de vendas emelhorar o relacionamento entre gestores, corretores e clientes. Éo 1º aplicativo do mercado imobiliário com todo o processo devendas digital. Através do aplicativo, construtoras, loteadoras eimobiliárias disponibilizam materiais de venda dos seusempreendimentos, se comunicam com suas equipes de vendas e otimizamtodo o processo de vendas, tudo fácil, tudo digital. Confira como oapp Facilita Vendas pode te auxiliar: Gestão de Vendas e CRM O appFacilita permite fazer a gestão desde a captação do lead até ofechamento da venda. Faça todo o processo de vendas peloaplicativo, envio de propostas, reserva de unidades, gestão deatendimentos. Através do funil de vendas é possível visualizar eorganizar todos os negócios em andamento em cada etapa da venda.Integração com Plataformas de Captação de Leads É possível integraro app com plataformas de captação de leads através da fila deatendimento, que distribui os leads captados entre os corretorescadastrados,trazendo agilidade e rastreamento ao atendimento. ChatIntegrado ao CRM Além da integração com as plataformas de captação,é possível atender seus clientes diretamente dentro do aplicativoatravés do Chat. Garantindo um atendimento mais rápido e eficiente.Gestão de Produtos Veja informações atualizadas de disponibilidadee reserve unidades através dos espelhos de vendas horizontal ouvertical. Tenha acessos também a todas as informações de venda dosprodutos, tabelas de vendas, imagens, vídeos, plantas e mais.Gestão de Novidades O app Facilita forneceu um canal de comunicaçãodireta entre gestores e equipes de vendas. Através dafuncionalidade novidades, é possível para o corretor vercomunicados, convites e atualizações das contas que se conectou.Acesse e veja as novidades. Alertas em tempo real Receba um alertasempre que tiver atualização de comunicados, produtos, tabelas devendas, novos clientes, tarefas a serem feitas. Assim, você nãoperderá nenhuma oportunidade. Clube de Pontos Acumule pontos commetas batidas e vendas de unidades para resgatar prêmios.Personalização O app Facilita permite a personalização do seuaplicativo com as cores e marca da sua empresa. Além de permitir aogestor configurar as funcionalidades do sistema de acordo com anecessidade da empresa. The Easy Sales app came to uncomplicatesales management and improve the relationship between managers,brokers and customers. It is the 1st real estate market applicationwith the entire digital sales process. Through the application,builders, developers and real estate agents make available salesmaterials for their projects, communicate with their sales teamsand optimize the entire sales process, all easy, all digital. Checkout how the Easy Sales app can help you: Sales Management and CRMThe Facilita app lets you manage from lead capture to salesclosing. Make the entire sales process through the application,submission of proposals, reservation of units, management of care.Through the sales funnel you can view and organize all the businessin progress at each stage of the sale. Integration with LeadsCapture Platforms It is possible to integrate the app with leadcapture platforms through the service queue, which distributes theleads captured among the registered brokers, bringing agility andtracking to the service. Integrated Chat to CRM In addition tointegration with the capture platforms, it is possible to serveyour customers directly within the application through Chat.Ensuring faster and more efficient customer service. ProductManagement View updated availability information and reserve unitsthrough the horizontal or vertical sales mirrors. Also have accessto all product sales information, sales charts, pictures, videos,plans and more. News Management The Facilita app provided a channelof direct communication between managers and sales teams. Throughthe novelty feature, it is possible for the broker to seeannouncements, invitations and updates of accounts that have beenconnected. Access and see the news. Real-time alerts Get alertedwhenever you have updates for announcements, products, salestables, new customers, tasks to be done. So you will not miss anyopportunity. Points Club Earn points with hit targets and unitsales to redeem prizes. Personalization The Facilita app allows youto customize your application with the colors and brand of yourcompany. In addition to allowing the manager to configure thesystem's features according to the company's need. Consulte sua pontuação e prêmios, tenhaacessoaos materiais, tabelas de preços e disponibilidade dosprodutos,sua agenda de plantões e fique ligado nas novidadesexclusivas daconstrutora.See your score andprizes,have access to the materials, price lists and availabilityofproducts, their shifts schedule and stay tuned for exclusivenews ofthe construction. Localiza Imóveis tem mais de 30 anosdeexperiência comprovada no mercadoimobiliário e decidiu inovar com seu aplicativo LocalizaImóveis.Com ele você podemelhorar seus resultados, tendo maior controle dos atendimentosaosclientes e acesso fácil às informações dosempreendimentos.Sistema para gestão de leads e equipes de vendas, rede de negóciosecomunicação entre Construtoras, Imobiliárias e Corretores.Real Estate is locatedhasover 30 years of proven experience in the marketreal estate and decided to innovate with your application FindsRealEstate. With it you canimprove your results, taking greater control of services renderedtocustomers and easy access to information from enterprises.System for lead management and sales teams, business networkingandcommunication between Builders, Real Estate and Brokers. Sistema para gestão de leads e equipesdevendas, rede de negócios e comunicação entreConstrutoras,Imobiliárias e Corretores.System for leadmanagementand sales teams, business networking and communicationbetweenBuilders, Real Estate and Brokers. Criado para teste da equipe Go Score!Designed to test the teamScore Go! Max Life Insurance Co. Ltd. is enabling its sellers through 'MaxLife CSG' application to provide need-based solutions to itscustomers. Max Life CSG is a mobile based lead management andsolution generation application which can be used by sellers tocreate leads, record meetings and offer need-based solutions aswell as share product illustrations with customers. Max Life CSG isintegrated with mApp to provide a completely seamless, paperlessinsurance buying experience to our customers with the assurance ofgetting the right solution. Max Life CSG application is availablefor all the Agents, Distributors and Partners of Max LifeInsurance. Max Life CSG can be used on all android mobiles withandroid configuration greater 4.2.2. Leads Management System helps to give quick access to potentialleads for better customer service.Lead Management is a method andsystem designed to manage new potential inquiries effectively.SBICAP Securities Ltd has developed Lead Management software tohelp work on the “leads” being assignment to its sales staff moreefficiently and in systematic manner. The app will help to capturecustomer responses at various stages to serve them better. Theresponse for not buying the product can also recorded for anyproduct enhancement/development. For convenience, both AccountOpening Tracker and Lead Management System is integrated so that,at any given point of time one can switch between the twoapplications. Kapture CRM is a cloud-based CRM designed by professionalsbelonging to varied fields to automate sales and operational tasksand increase productivity. With Marketing, Sales, Operations andcustomer service, all in one single platform, Kapture bringsunparalleled efficiencies to your business. Our rich API ecosystemensures you are able to integrate all your systems easily. WhileKapture works across all industries and segments, there arecustomised modules for Travel, Cruise, Hotels, Distribution,Healthcare, ECommerce, Education, Real Estate and more. Stay up to date with your accounts and leads with LinkedIn SalesNavigator on your Android device, wherever you are. LinkedIn SalesNavigator helps you target the right buyers and companies,understand what buyers value, and engage buyers with personalizedoutreach. Whether you are waiting for a meeting, traveling betweenclients’ offices, or just in line for a coffee, Sales NavigatorMobile gives you access to Sales Navigator’s key sales featureswhere you need them most: everywhere. - Get real-time sales updateson your accounts and leads - Discover new accounts and leads withdaily recommendations, wherever you are - Prep for sales meetingsby reviewing prospect profiles and account pages - Save new leadsafter meetings to start getting sales updates - Send timely InMail,messages, and connection requests The Sales Navigator mobile apprequires a Sales Navigator account, which is a paid LinkedInsubscription for sales professionals. The app is currently onlyavailable in English.